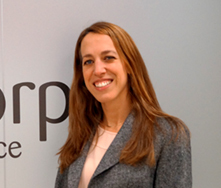 As of October 2018, Tradecorp and AlgaEnergy coordinate the working group that represents Spanish companies in the European Biostimulants Industry Council (EBIC). Task Force Spain is in charge of representing EBIC before the authorities and associations in Spain. This working group also analyzes and works towards an agreement for the most relevant issues that are dealt with in other EBIC committees and Task Forces, in order to adopt a common position for all Spanish companies before the General Secretariat of EBIC. “We assume the Secretariat of EBIC’s working group ‘Task Force Spain’ with pride and responsibility, as it is a crucial moment for the development of a clear and unified European Fertilizer market, and specifically crucial for the biostimulants. We have the mission of supporting the development of this regulatory precedent that is already a reference worldwide, and we expect to fulfil our objective”, adds Estefanía Hinarejos, AlgaEnergy’s Regulatory Affairs Manager. 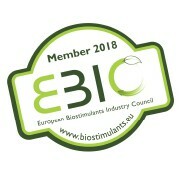 The European Biostimulants Industry Council (EBIC) was founded in 2011, with Tradecorp being one of its founding members. Since its creation, it has grown, and currently encompasses 56 members. The group’s objective is to promote the biostimulant sector’s role within Europe in order to help advance sustainable agriculture, and to lobby for an adequate regulation for biostimulants within the framework of the new European regulation on fertilizers.